The SBA defines a small business as one that employs fewer than 500 people. By this definition, there are more than 27 million small businesses currently operating in the United States. These can range from incorporated, self-employed individuals to community banks and construction firms. If you own a small business, it's a good to consider acquiring the proper insurance to protect your business venture. If you are one of the millions of entrepreneurial Americans who have started their own businesses, you can turn to an independent agent in the Trusted Choice® network for guidance when shopping for small business insurance. These agents can work with several different insurance companies to provide you with several policies and premium rates to compare. Contact a local agent near you to start comparing small business insurance quotes today. Workers compensation insurance: This coverage can be purchased either through your state’s worker’s compensation insurance program or through a commercial insurance agent. Refer to the guidelines set by your state or speak with an agent in the Trusted Choice network for more information. Medical insurance: Under the recently passed Affordable Healthcare Act, small businesses that employ more than 50 people could be required to purchase healthcare coverage plans for employees. Medical insurance for small business does not have to be unmanageably expensive. 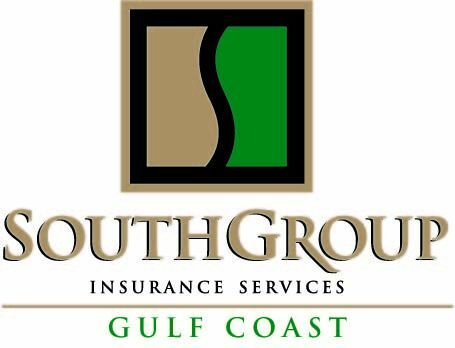 A Trusted Choice member agent can help you find insurance providers that offer affordable rates through group insurance for small business. Small business insurance is an optional insurance plan that provides you with the coverage necessary to keep your business operational, especially in the aftermath of a catastrophe or a lawsuit. Catastrophes can include fires, major weather events, and accidents with extreme losses. Lawsuits can also devastate your business. These insurance plans can be customized to meet the inherent risks faced by your particular business. If your company is home-based and your business equipment and materials have a value lower than $2,500, you might be best served by purchasing a business property rider on your homeowners or renters insurance policy. If your assets are between $2,500 and $10,000, a home-business insurance policy may be your best choice. If your property coverage demands exceed this amount or your business is located outside of your home, you will most likely need the protection of a small business insurance policy. If you own the building in which your business is located, you will want to make sure that you purchase enough insurance to cover the structure of the building as well as any contents within. This coverage will provide the compensation necessary to repair or replace lost, damaged or stolen materials and equipment. These policies almost always exclude damages caused by floods, so you will want to consider purchasing a flood insurance policy as well. An agent in the Trusted Choice network can provide you with more information about various property coverage options as well as flood insurance policies, and help you choose the right small business insurance for your unique needs. General liability: This covers most liability claims that may be brought against you. It protects against payments for bodily injury, property damage, libel and slander. It will also cover court costs and legal fees associated with covered events. Professional liability: This coverage is also known as errors and omissions insurance. It protects your business from liability claims due to malpractice, negligence and errors. Some states may require certain businesses, such as those in the medical field, to have this coverage. Product liability: This is important for companies that manufacture, distribute or sell products. If a product defect results in illness or injury, your company may be sued. This will provide coverage for this type of lawsuit. Your small business liability insurance rates will depend on how much coverage you purchase and the likelihood that your business will face liability charges.